Dell is the quintessential “airport kid”. With a grandfather having fought in WWII on Spitfires and a Dad who was an air traffic controller and pilot for 50 years, Dell has aviation in his blood. Buying a Cessna 150 at 16 with some friends, Dell learned to fly early on. Also interested in all things mechanical, Dell combined his interests with his sense of duty and served 6 years with the Air National Guard as a crew chief on the C-130 Hercules. Having gained valuable experience from the best, he went on to achieve all the necessary ratings to become a successful business jet pilot. While traveling the world in Falcons, Challengers and Gulfstreams, Dell never forgot his early passion for the pure joy of flight and managed to build and restore several aircraft while working full time. Dell cultivated his aircraft building expertise, as well as his ever progressing aerobatic proficiency, and both are reflected in his aircraft designs. 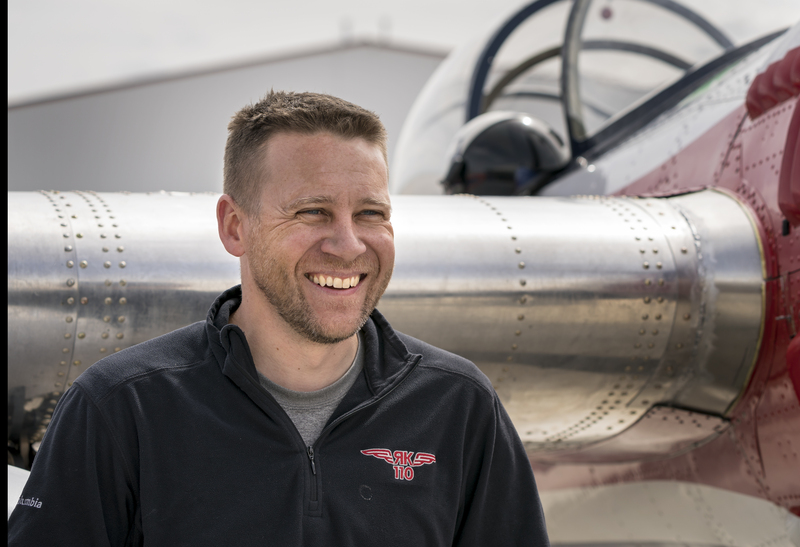 Success with aerobatic aircraft, and other opportunities, lead Dell to leave the business jet world behind and focus his energy and skills to aircraft improvements and custom builds. Dell is the master builder, and maintainer, of the 1929 replica taper wing Jet Waco, also known as Screaming Sasquatch. His love for aviation innovation lead him to his next project, the twin fuselage Yak 110.